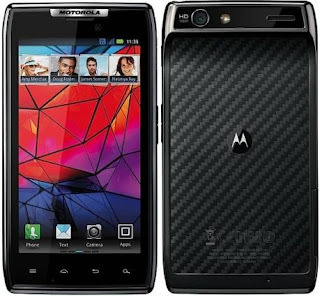 Motorola RAZR Android Smartphone is launched in India with 1.2GHz Dual Core CPU, 8MP Camera, 4.3” Super AMOLED touchscreen @ attractive price. It runs on Android 2.3.5 OS. Motorola RAZR equipped with Grilla Glass, HD video player/recording, FM Radio, 3.5 mm jack, pro-loaded Google Apps, 1GB RAM + 16GB internal memory and external memory support. Powered by 1780 mAh standard battery for extra long battery life and comes with supports of Bluetooth, Wi-Fi enabled and supports USB 4.0and PC Sync connectivity. It has Accelerometer sensor and Proximity sensor for auto turn-off. It also comes with GPS with A-GPS and google Maps. 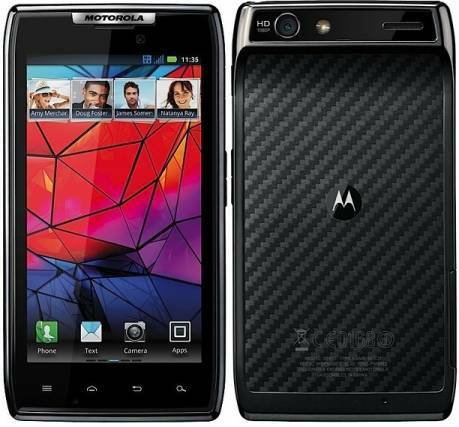 Motorola RAZR Price in India: Rs. 33990. - Thinnest Smartphone – 7.1 mm thin !